Many companies have dived head-first into the SAP landscape; however, most are looking to gracefully and successfully integrate additional software into the ecosystem. Finding middleware that is both functional and easy to implement can be challenging. 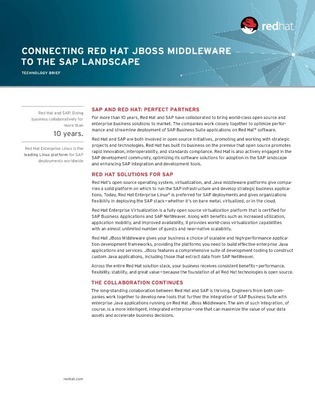 Access this brief white paper to find out how one vendor has teamed up with SAP to deliver top-notch SAP middleware, and what advantages your company can expect when implementing such a system.